Sir Peter Frederick Strawson (November 23, 1919 – February 13, 2006) was an English philosopher, and a leading member of the group of twentieth century Anglo-American analytic philosophers who practiced and promoted what was known as "Oxford philosophy," or "ordinary language philosophy." He was the Waynflete Professor of Metaphysical Philosophy at the University of Oxford (Magdalen College) from 1968 to 1987. Before that, he was appointed as a college lecturer at University College, Oxford, in 1947, and became a tutorial fellow the following year until 1968. On his retirement in 1987, he returned to the college and continued working there until shortly before his death. Born in Ealing, West London, Peter Strawson was brought up in Finchley, North London, by his parents, both of whom were teachers. He was educated at Christ's College, Finchley, followed by St John's College, Oxford, where he read Philosophy, Politics, and Economics. Strawson began teaching at Oxford in 1947, and from 1968 to 1987, was Waynflete Professor of Metaphysics. His son, Galen Strawson, is also a philosopher. Strawson died in a hospital on February 13, 2006, after a short illness. Strawson first became well known with his article "On Referring" (1950), a criticism of Bertrand Russell's Theory of Descriptions (also known as Definite descriptions). Russell had analyzed a claim such as "The present King of France is bald" into a conjunction of three statements: (1) There is a king of France. (2) There is just one king of France. (3) There is nothing which is king of France and which is not bald. But, Strawson argued, Russell had confused referring to an entity with asserting the existence of that entity. In referring to an entity, Strawson held, the speaker presupposes the existence of the entity, but he does not assert the existence of that entity. Presupposition, according to Strawson, must be distinguished from entailment. So, Strawson held, Russell was mistaken in claiming that the assertion "The present king of France is bald" is false; instead, Strawson claimed, this statement is neither true nor false since its basic presupposition that there is a present king of France is false. The mistake in Russell's analysis, according to Strawson, was a confusion between referring and asserting, and that confusion was based on an underlying confusion between a sentence and the statement made in that sentence. Russell—and the logical positivists with him—had held that every sentence is true, false, or meaningless. But Strawson argued that sentences can be meaningful or meaningless without necessarily being true or false. Statements—the assertions made in sentences, but which are distinct from sentences—can be either true or false. So the sentence, "The present king of France is bald," is meaningful, but the statement made at the present time using that sentence is neither true nor false because there is no present king of France. In his article, "Truth" (1949), Strawson criticized the semantic and correspondence theories of truth. He proposed, instead, that "true" does not describe any semantic or other property, but instead people use the word "true" to express agreement, to endorse, to concede, etc. Strawson drew an analogy between this understanding of the word "true" and J.L. Austin's notion of performatives. Strawson rejected the correspondence theory of truth because, he claimed, the attempt to establish a correspondence between statements and states of affairs is incoherent in that the notion of "fact" already has what he called the "word-world relationship" built into them. "Facts are what statements (when true) state," he claimed. Strawson's first book, Introduction to Logical Theory, dealt with the relationship between ordinary language and formal logic. In the most interesting and important part of this book, he held that the formal logical systems of propositional logic and the predicate calculus do not represent well the complex features of the logic of ordinary language. In the last chapter of the book Strawson argued that the attempt to justify induction is necessarily misconceived, because there are no higher standards that can be appealed to in justifying induction. Thus, he held, attempting to justify induction is like asking whether a legal system is legal. Just as a legal system provides the standards for what is legal, inductive criteria provide the standards for what counts as induction. In the 1950s, Strawson turned to what he called descriptive metaphysics; indeed he was largely responsible for establishing metaphysics as a worthwhile direction in analytic philosophy. He distinguished descriptive metaphysics from what he called "revisionary metaphysics," in that descriptive metaphysics, as he advocated it, was content to describe the actual structure of thinking about the world instead of proposing a better structure. It also differed, he claimed, from the usual conceptual analysis in that it attempted to "lay bare the most general features of our conceptual structure." Strawson's second book, Individuals (1959), was probably his most influential and the one for which he is most remembered. In Part One of that book, entitled "Particulars," Strawson dealt with the identification of particular objects. Here, he held that material objects are the basic particulars, the foundation of identification of particular things. So, he claimed, a publicly observable system of enduring entities that are situated in space and time is the general condition required for identification, and the material universe provides this. In a second thesis, Strawson attacked the Cartesian view that consciousness attaches to mental substances, and also the modern view that states of consciousness do not attach to anything at all. He proposed, instead, that consciousness is a primitive concept such that states of consciousness and physical properties can and are both ascribed to persons. Personhood, then, is not a composite concept, but a primitive one. Part Two of the book presents an investigation of subjects and predicates. The entire book owes a lot to Strawson's use of Kantian methods to arrive at conclusions that are similar to those of Aristotle. 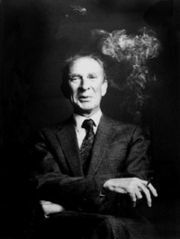 In philosophical methodology, Strawson defended a method he called "connective analysis." A connective analysis of a given concept assumes that such concepts form a network, of which the concepts are the nodes. To give a connective analysis of a concept (say, knowledge) is to identify the concepts which are closest to that concept in the network. This kind of analysis has the advantage that a circular analysis (say, analyzing knowledge into belief, belief into perception, and perception into knowledge) is not debarred, so long as it is sufficiently encompassing and informative. In addition to his books, Strawson published many papers as well as studies of some other philosophers. In a late paper, "Freedom and Resentment," Strawson discussed optimism and pessimism, human reactive attitudes, and resentment and its causes. Some commentators have suggested that this may ultimately be the most important and fruitful of Strawson's papers. Aune, Bruce. "Feelings, Moods, and Introspection," Mind, 1963. Bradley, M.C. "Mr. Strawson and Skepticism," Analysis, 1959. Caton, C. E. "Strawson on Refering," Mind, 1959. Geach, P. T. "Mr. Strawson on Symbolic and Traditional Logic," Mind, 1963. Hahn, Louis, ed. The Philosophy of P. F. Strawson. Open Court, 1998. Lewis, H. D. "Mind and Body," Proceedings of the Aristotelian Society (PAS), 1962-1963. Pears, D. F. Review of Individuals, Philosophical Quarterly, 1961. Russell, Bertrand. "Mr. Strawson on Referring," Mind, 1957. Searle, John R. "Strawson, Peter Frederick," in The Encyclopedia of Philosophy, Vol. 8, pp. 26-28, Paul Edwards, ed., New York: Macmillan, 1967. Sir Peter Strawson (1919–2006), University Newsletter, Issue 23, page 4, Hilary 2006. Freedom and resentment. Full text of his 1962 article. Kaye, Sharon. Russell, Strawson, and William of Ockham, PAIDEIA. Obituary — The Guardian. Jane O'Grady, Wednesday February 15, 2006. History of "Peter Frederick Strawson"
This page was last modified on 16 March 2019, at 16:37.